Swansea, Wales' City of Culture, birthplace of Dylan Thomas and the place where custard powder was allegedly invented. Cosy but cosmopolitan Mumbles is full of local character and charm. Home to handmade crafts, luxury boutiques and arguably the worlds' best ice cream. Declared the UK's first Area of Outstanding Natural Beauty in 1956 and home to the 10th best beach in the world (as voted by TripAdvisor users in 2013). Rural Swansea is a green great escape with rolling countryside, hidden valleys and secluded woodland. Climb to Swansea's highest point to admire the view from the top. Afan & The Vale of Neath is lush and leafy. Bike around mountains, hide behind waterfalls and monkey about in the treetops. Get wet, get muddy, get stuck in or just simply get a coffee. Go for an adventure or a leisurely stroll, it's your call. Old, new, and other things too - browse our attractions, we've got something for you. The Gower Peninsula. It's home to some of Britain's best beaches, and we've got the photos to prove it. Dylan Thomas, a home grown literary legend. This was the place of his birth and a source of inspiration. Creature of comfort? Here's a cracking selection of things to do undercover. Explore the City or the UK's first Area of Outstanding Natural Beauty, our outdoors is great. 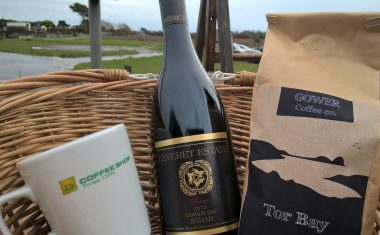 Wake up and smell the coffee in one of Swansea Bay's cosy B&Bs. Camping, caravans and campervans - experience the sights and sounds of Swansea Bay first hand. Check out our hotels. From the big brands to the independently owned and the basic to the boutique, we're sure you'll find something just right. Stay in the countryside, by the sea or in the city - your options for self catering holidays are immense! Exploring the area by foot or on two wheels? Here's a list of places to stay with a Walkers Welcome or Cyclists Welcome award. Got to get away? Book yourself a bargain here and in no time you'll be living the daydream! 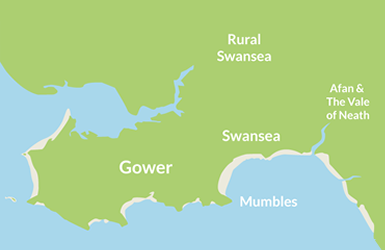 Planning a meal out in Swansea, Mumbles & Gower has never been easier. Check out this selection of Veggie delights. There are many great bars in Swansea Bay. If you're looking to go for a drink, here’s a handy list to help you decide where to go. Cafes and independent eateries are part of the local charm. There's plenty of tasty food to go round. Wake up and smell the coffee... and then take a sip. We'll help you hunt down the baristas with the best beans. 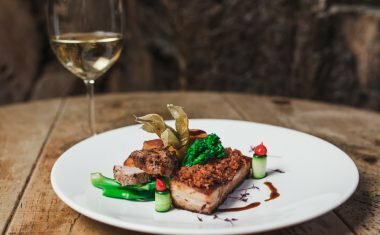 Food is kind of a big deal to us, check out these great places to eat and be sure to make the most of your meal out. We are the proud home to two of the UK’s top 10 best beaches - so why not consider Swansea Bay for a beach break! In honour of Wales’ Year of the Sea, we are celebrating all things coast and want you to join us. From incredible views, unrivalled walking routes and some of the UK’s best beaches. Home to 400 miles worth of rights of way and the first path to wrap around the coastal border of an entire nation. We are the proud home to some of the UK’s best walking routes. Get to know Swansea Bay and discover loads of exciting things to do by downloading our free Things to Do, Beaches and Gower Coast Path Guides. 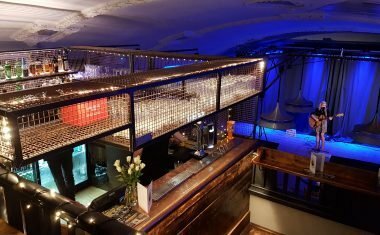 Based at the old Bentley's Night Club in Castleton Walk Arcade, Café Play by Night is a late night bar which aims to be the cultural hub of Mumbles. 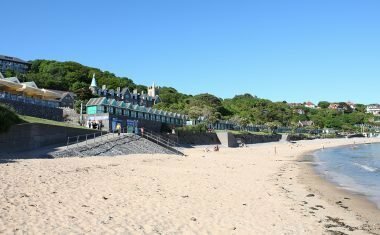 Langland's Brasserie is an award-winning restaurant with great food, local produce and one of the best restaurant views in the UK. Starting out in 1996 with just four tables, a little white kettle, one recipe for carrot cake and a passion. 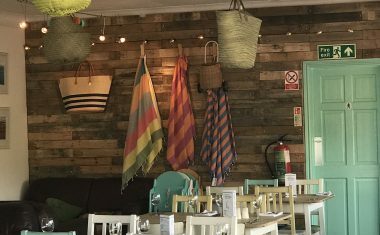 Dining at the Oxwich Bay is a unique experience that will last long in the memory. Swansea Council is the data controller for the personal information you provide on this form. Your information will be used to provide you with the service that you have requested and will not be used for any other purpose. We will not share your data with any third parties without your explicit consent unless we are required or permitted to do so by law. You can withdraw your consent at any time and ask for your personal data to be erased from our records. Data protection law describes the legal basis for our processing your data as one based on consent. For further information about how Swansea Council uses your personal data, including your rights as a data subject, please see our corporate privacy notice on our website.